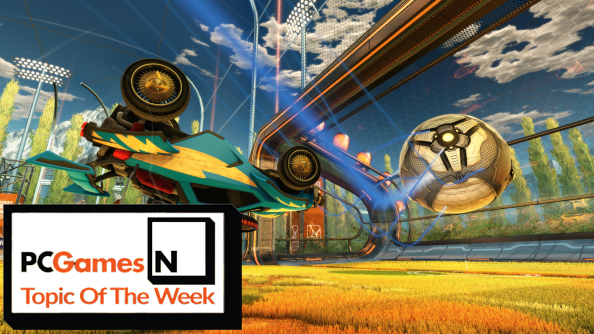 Topic of the Week: Does cross-play with consoles matter to you? This week, Gabe Newell told a fan he was “all for” cross-play – that is, the idea of multiplayer matchmaking stretching beyond the usual barriers put up by consoles. A multi-platform future in which there is but one community for each game. Clearly, it matters to the man who manages one of PC gaming’s seminal studios, as well as its most prominent distribution platform. But do you care? There are plenty of titles on our best co-op PC games list that deserve the cross-play treatment. There are a couple of things to consider here. One is that multiplayer games – even the most-marketed likes of Titanfall and Evolve, which both blazed brightly with high player numbers at launch – rarely have any community to speak of a year after release. Wouldn’t it be far better, for player, developer and publisher, to pool those remaining devotees together? Ensure a longer life for games that were years in the making? And there’s another thing – the control issue. For the most part, we use mouse and keyboard. The aim-adjustment that comes as standard in console shooters is testament to the fact that it’s often simply harder to get a controller to do what you want with a degree of accuracy. How do you balance that discrepancy? Do you? Do let us know your thoughts, shrewd reader, in the comments below.